Swatow refers to a large family of coarse provincial porcelains, often with vigorously painted decoration. They were produced in imitation of Kraak porcelains in a number of kilns not far from the port of Shantou (Swatow in Dutch records) in Guangdong province in southern China. Swatow wares are roughly made, often with grit adhering to their foot rims, while their decorations have the freedom and verve characteristic of late Ming ceramics. They have been found along international trade routes of the late 1500s and 1600s. 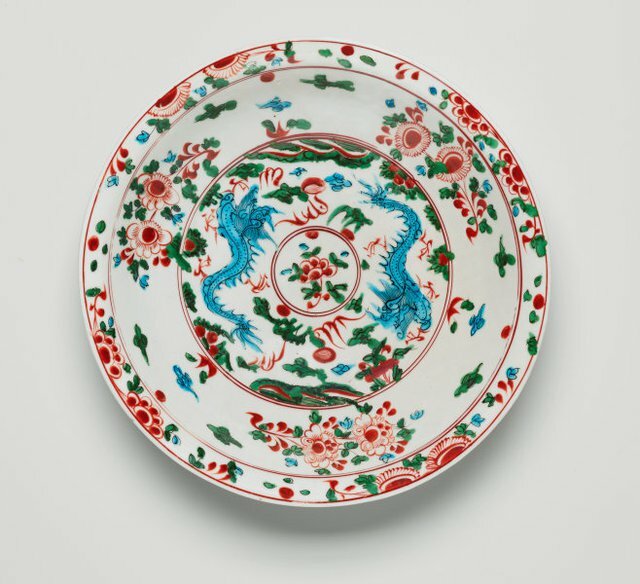 Most typical of Swatow wares are the large dishes, decorated in blue-and-white, polychrome enamels and, less commonly, monochrome colours over a slip decoration. 'Swatow wares', The Asian Collections, AGNSW, 2003, pg.140.